Chris Wahl wrote a good blog post about the VAAI-NAS plugin some days ago. I really recommend to read this posting. Because of his article, I will only describe the installation of the plugin. You can download the plugin on the Synology homepage for free. There are two ways to install the plugin: With the vSphere Update Manager (VUM) and a host extension baseline, or with ESXCLI. First of all, we need to import the plugin (host extension) to the patch repository. 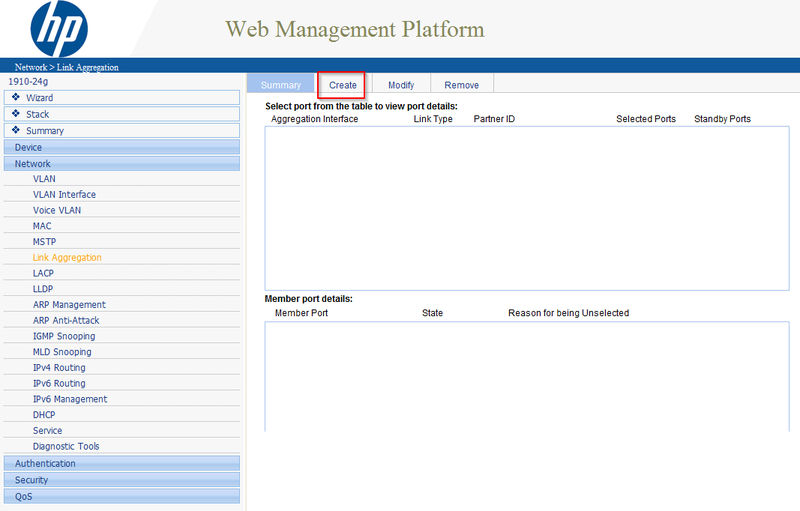 Open the vSphere C# client, switch to the “Home” screen and click “Update Manager” under “Solutions and Applications”. Switch to the “Patch Repository” tab and click “Import Patches”. Import the SYN-ESX-5.5.0-NasVAAIPlugin-1.0-offline_bundle-2092790.zip file. The next step is to create a new baseline, in this case a “Host Extension” baseline. Scroll down and add the plugin to the baseline (click the down arrow button). Click “Next”. Check the settings and finish the creation of the baseline. Now attach the baseline to your hosts or cluster. As you can see, the VUM detected that my hosts are non-compliant, because the host extension is missing. During the installation process, the plugin is installed and a host reboot is triggered. After a reboot and a scan, all hosts should be compliant. In addition to the now compliant host status, the NFS datastores should now support hardware acceleration. 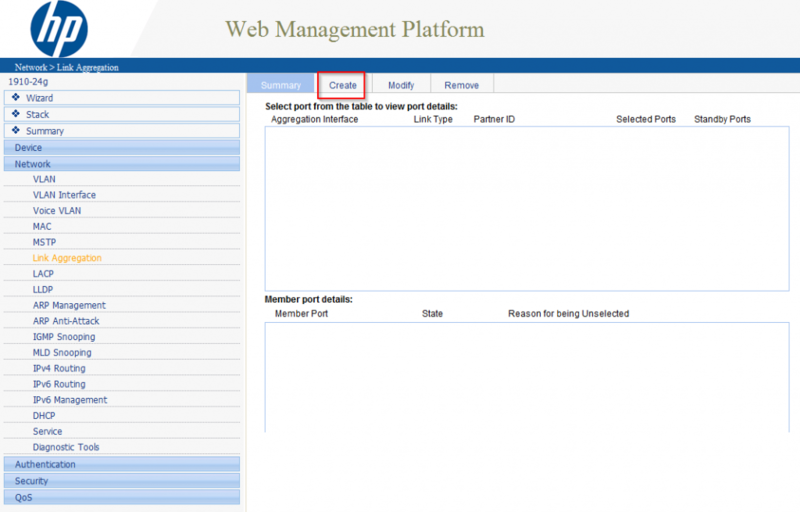 You can check this in the vSphere C# or vSphere Web Client. Another way to install the plugin is using the ESXCLI. Upload the esx-nfsplugin.vib to a local or shared datastore. I placed the file in one of my NFS datastores. Then use ESXCLI to install the VIB. Do enable the plugin, a host reboot is necessary. This ways is suitable for standalone hosts. I recommend to use the VUM whenever it’s possible. I strongly recommend to install the plugin. Using the vSphere Update Manager, the installation is really easy. If you have a single host, try the installation using ESXCLI. 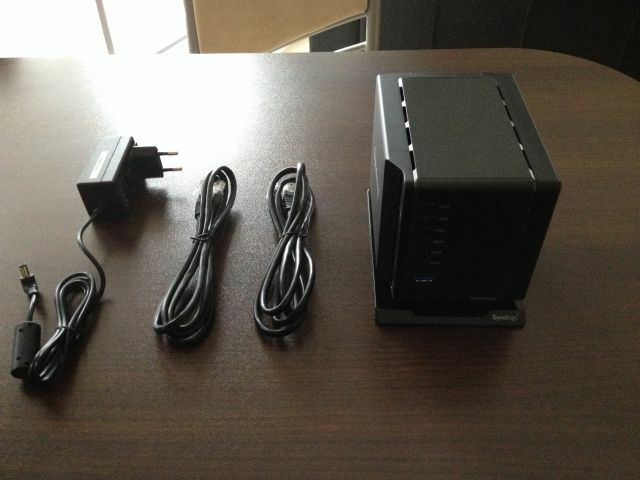 This entry was posted in Storage and tagged homelab, storage, synology, vaai, vmware on January 7, 2015 by Patrick Terlisten. This blog post covers the setup of the volumes and shares. Depending on your disk config, variuos volume configurations are possible. The DS414slim supports all important RAID levels (Synology Hybrid RAID, Basic, JBOD, RAID 0, 1, 5, 6 and 10). I recommend to use RAID 5, if you use more then two disks. I decided to create a RAID 5 with my three Crucial M550 SSDs and use the Seagate Momentus XT as a single disk. This disk setup gave me about 880 GB of SSD and 450 GB of SATA storage. To use this storage, we need to create at least one NFS share. Voume1 contains only a single NFS share. 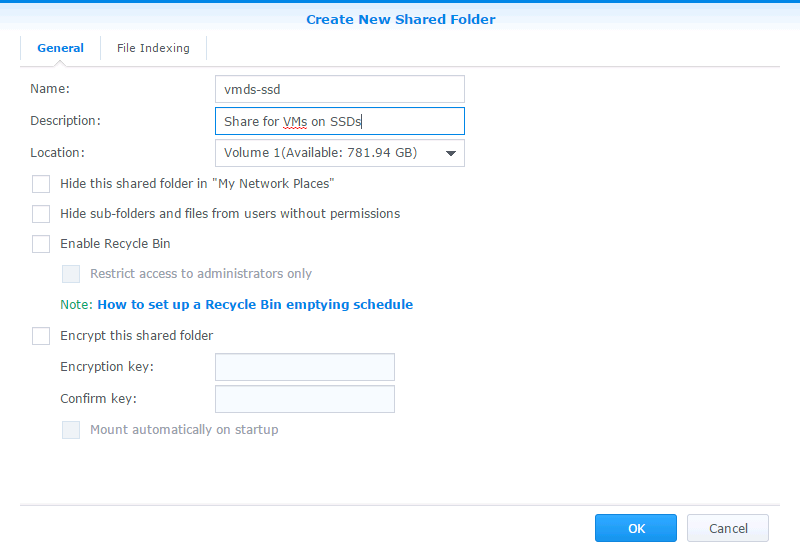 Volume2 contains a NFS share and an additional CIFS share, that I use for my Veeam backups. Since I use the Volume2 only for VM templates, I put both shares, the CIFS and NFS share, on the a single volume and a single disk. 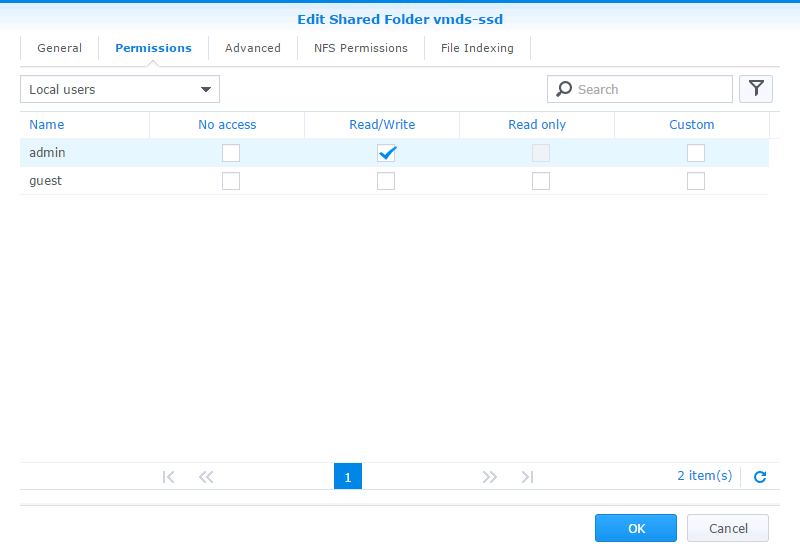 To create a new NFS share, open the Control Panel > Shared Folders and click “Create”. Enter a name, a description and select a volume. Then click “OK”. Grant the local admin account “Read/ Write” permissions on the new share and click “NFS Permissions”. 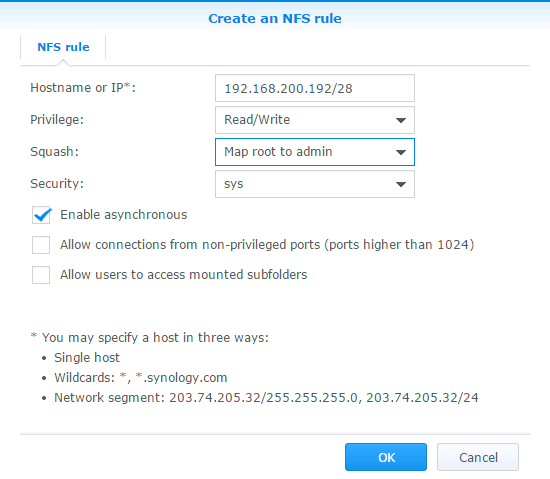 Enter the subnet or the IP address of your ESXi host to grant the host(s) access to the NFS share. Select “Map root to admin” and ensure that asynchronous transfer mode is enabled. Click “OK”. To mount a NFS datastore with the vSphere Web Client, simply right-click a cluster and select “New Datastore”. Provide the needed information and in step 4 you can select one or multiple hosts, to which the NFS share should be mounted. Very handy! Depending on your disk configuration, you have multiple options to configure volumes. I decided to go for a RAID 5. I strongly recommend to use SSDs, because rotating rust would be too slow. I also recommend to use NFS instead of iSCSI in a lab environment. It’s easier to setup and faster. 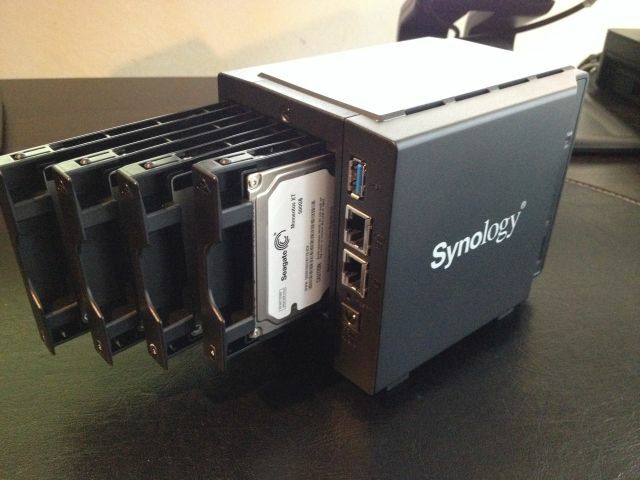 This entry was posted in Storage and tagged homelab, storage, synology, vmware on January 7, 2015 by Patrick Terlisten. The next step is to connect the Synology DS414slim to my lab network. I use two HP 1910 Switches in my lab, a 8 Port and a 24 Port model. The Synology DS414slim has two 1 GbE ports, which can configured in different ways. I wanted to use both ports actively, to I decided to create a bond. Browse to the admin website and go to Control Panel > Network > Network Interfaces and select “Create”. Then select “Create Bond”. 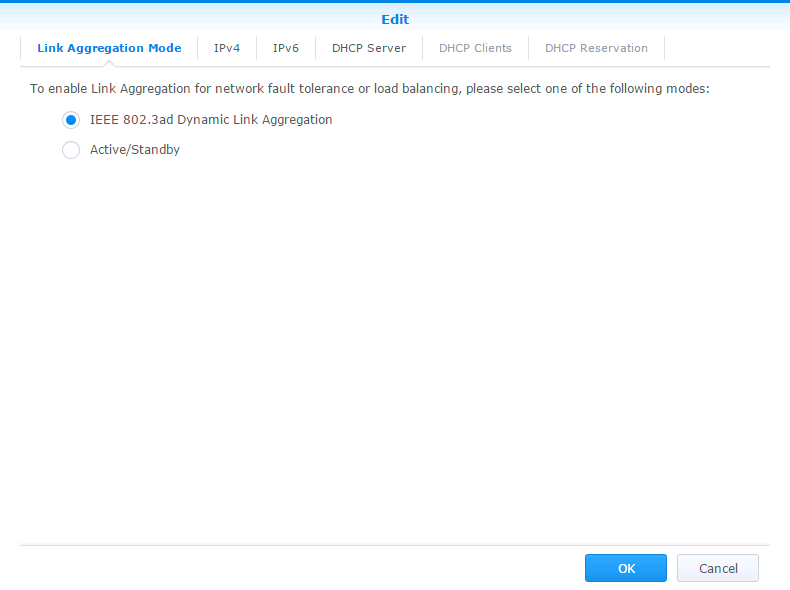 To utilize both NICs, select the first option: “IEEE 802.3ad Dynamic Link Aggregation”. This option requires switches that are capable to create a LACP LAG! I will show the configuration of a LACP LAG on one of my HP 1910 switches later. Click “IPv4”. I have a dedicated VLAN and subnet for NFS. This subnet is routed in my lab, so I that the can reach the DS414slim for management. Make sure that you enable Jumbo Frames and that every component in the network path can handle Jumbo Frames! Switch to the “IPv6” tab. I don’t want to use IPv6, so I decided to disable it. Click “OK” and wait until the configuration is finished. Now it’s time to create the LAG on the switch. As I already mentioned, I use two HP 1910 switches in my lab. Both are great home lab switches! They are cheap and they can do L3 routing. Browse to the web management, log in and select Network > Link Aggregation and click “Create”. Enter a interface ID for the LAG. In my case there were no LAGs before, so the ID is 1. Select “Dynamic (LACP Enabled)” and select two ports on the figure of the switch. Check the settings in the “Summary” section and click on “Apply”. Now we need to place the LAG in the correct VLAN. 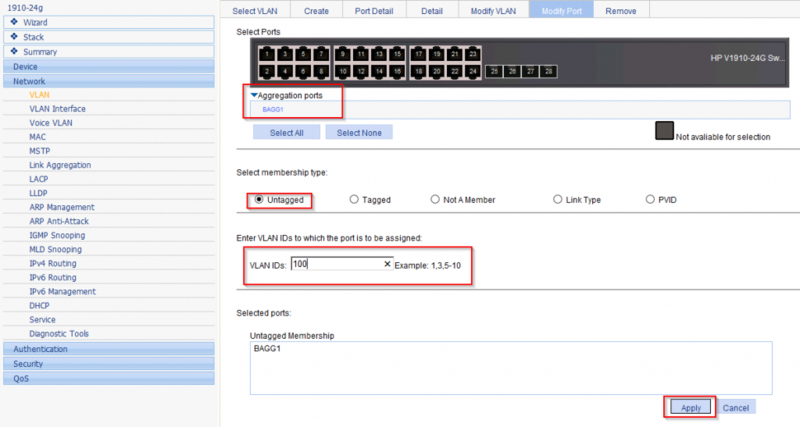 Select Network > VLAN and select “Modify Ports”. Select “BAGG1” from “Aggregation ports” and place the LAG as an untagged member in the NFS VLAN (in my case this is VLAN 100). Finish this task by clicking “Apply”. 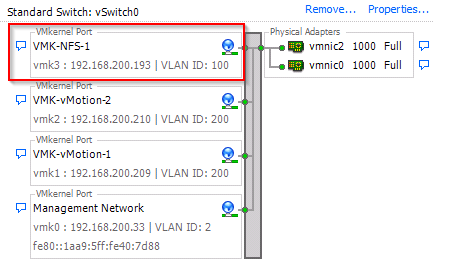 You can check the success of this operation by switching to the “Details” pageand then select the NFS VLAN. Connect the DS414slim with the two patch cables to the ports that were now configured as a LAG. If everything is configured correctly, the DS414slim should be reachable, with its new IP and in the NFS VLAN. Make sure that you have at least one VMkernel port configured, that is in the same subnet and VLAN as you DS414slim. You can see that the VMkernel port is placed in VLAN 100 and that is has a IP from my NFS subnet. You should also make sure, that the VMkernel port and the vSwitch can handle Jumbo Frames. The HP 1910 switch series has enabled Jumbo Frames by default. The network setup depends on your needs. I strongly recommend to use a dedicated VLAN and IP subnet for NFS. I also recommend the use of Jumbo Frames. 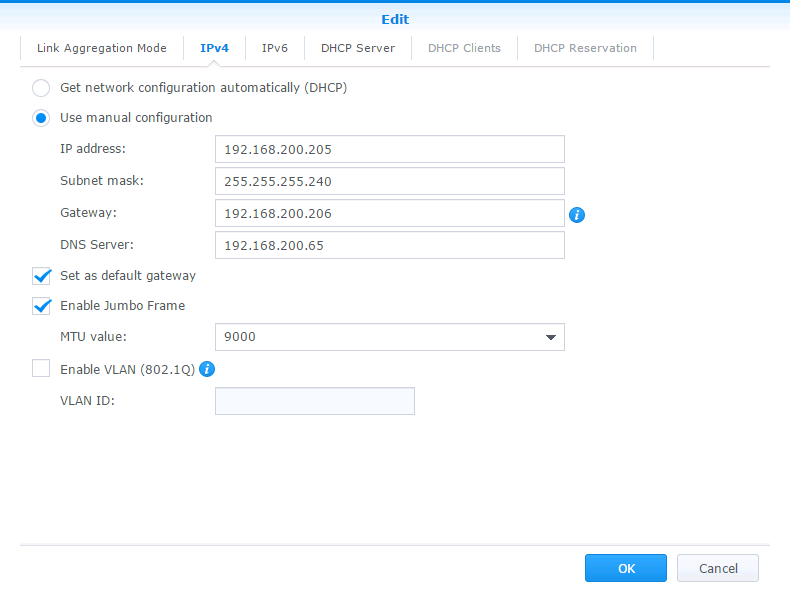 Make sure that all componentens in the network path can handle Jumbo Frames and that the VLAN membership is correctly set. If possible, use a bond on the Synology and a LAG on the switch. This entry was posted in Storage and tagged homelab, hp, networking, storage, synology, vmware on January 7, 2015 by Patrick Terlisten. A VMware vSphere cluster is nothing without shared storage. Most of the functions, like VMware HA or VMware vMotion (okay, vMotion is possible without shared storage), can only be used with a shared storage. The servers in my lab have Fibre Channel Host Bus Adapters (HBA), but buying an old and cheap Fibre Channel storage system wasn’t an option in my case. This left two options when choosing the right storage protocol: iSCSI or NFS. I tried to virtualize the local storage in my ProLiants with the HP StoreVirtual VSA and DataCore SANsymphony-V, but both were too complex for my needs and a lab environment. Because of this I decided to move the local storage into a small storage system and use iSCSI or NFS. I searched for a while for a suiteable system until Chris Wahl started blogging about the Synology DS414slim. Like Chris, I’m a fan of NFS. His blog posts encouraged me that, the DS414slim would be a good choice. In addition, the DS414slim is relatively cheap (~ 250 € incl. 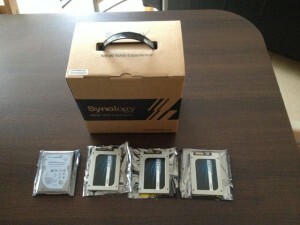 taxes in Germany) and Chris showed, that the system can achieve a good performance when used with SSDs. Fortunately I already had three Crucial M550 SSDs (each with a capacity of 480 GB) and a single Seagate Momentus XT with a capacity of 500 GB, so I bought the DS414slim without disks. I shot the DS414slim for ~ 250 € at the end of 2014. The price varies between 230 € and 260 € in Germany for model without disks. The box contains the DS414slim itself, a stand, two patch cables, screws for the disk trays and a power supply. So it contains everything you need to bring the DS414slim to life. The system is really small as you can see on this picture (take the2,5″ disks as reference). It goes without saying that you only can use 2,5″ hard disks. The next part of this series covers the network connectivity: vSphere Lab Storage: Synology DS414slim Part 2 – Networking. Fortunately I asked the VMware Knowledge Base, which lead me to VMware KB2086930 (Deploying a template with customization fails with the error: Authenticity of the host’s SSL certificate is not verified). This KB article is all you need to know to fix this error. 1. 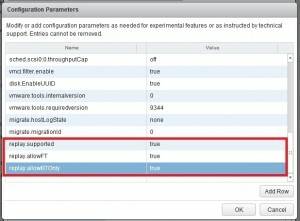 Make a snapshot of your vCenter Server appliance. 2. 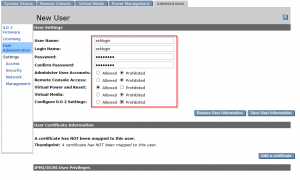 Stop the vCenter Server service using the appliance management website (port 5480). 3. Connect with SSH to your vCenter Server appliance and run these commands. I tried to deploy the VM to esx2.lab.local. 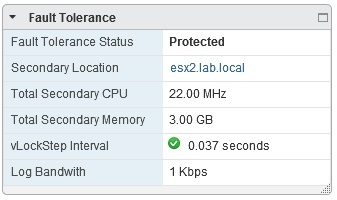 As you can see, there is no expected SSL thumbprint for this host (and also it’s missing for host esx1.lab.local). The solution is to set the host_ssl_thumbprint == expected_ssl_thumbprint. This solved this issue for me. 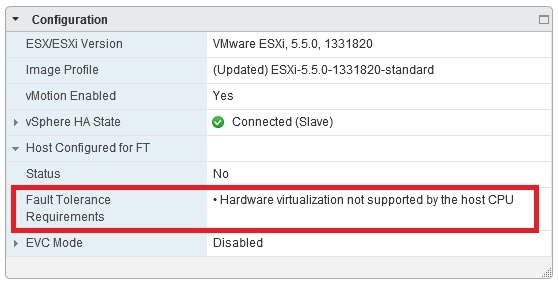 According to VMware KB2086930 only VMware vCenter Server Appliance 5.5.x is affected. If you are running VMware vCenter Server on Windows, you are not affected. If you get this error (or a similar error), it might be another problem. 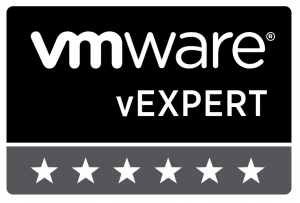 This entry was posted in Virtualization and tagged bug, homelab, vExpert, vmware on December 2, 2014 by Patrick Terlisten. Some weeks ago, Frank Denneman wrote a short blog post about accessing his Supermicro IPMI with SSH. He used this access to power on his lab servers.I don’t use Supermicro boards in my lab, but I have four HP ProLiants with iLO and iLO has a also a SSH interface. This way to power on my servers seemed very practical, especially because the iLO web interface isn’t the fastest. But I wanted it a bit more automated, so I decided to use Plink to send commands via SSH. I created a new user account in the iLO user database. This user has only the rights to change the power state of the server. Login into the iLO web interface. Click on “Administration”, then “User Administration” and “New”. Fill in the required fields. You have to enter a password, even if you later login with SSH public key authorization. Only allow “Virtual Power and Reset”. All other rights should be disallowed. Click “Save User Information”. I used the PuTTY Key Generator to create the necessary SSH key pair. Click “Generate” and move the mouse in the blank field. Enter the username of the new created user in the “Key comment” field. Copy the public key into a textfile. You need this file for the key import into iLO. Then save the public and private key. To import the key, login into the iLO web interface again. 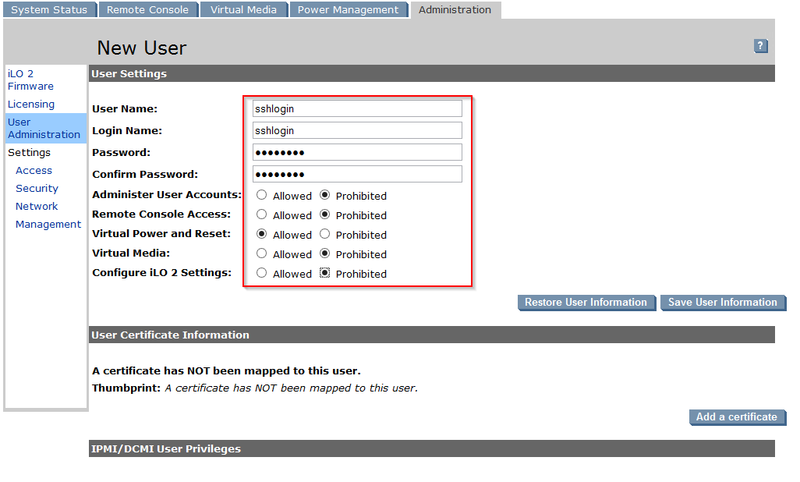 Click “Administration”, then “Security” in the “Settings” area on the left. Click “Browse…” and select the text file with the SSH public key. 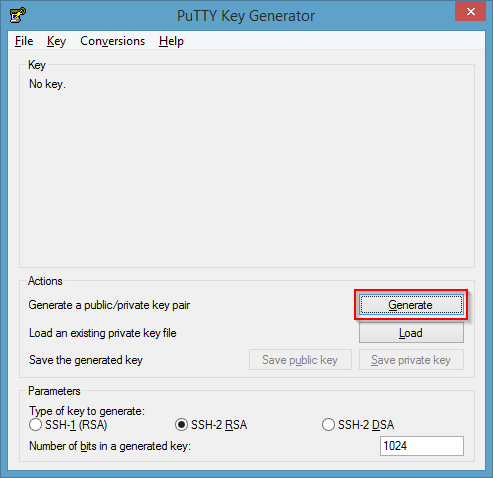 The key that is shown in the “Key” area of the PuTTY Key Generator differs from the saved public key. Both are public keys, but they have a different format. You have to import the key, that is shown in the “Key” area. If you have imported the right key, the key is automatically assigned to the new user. Open a CMD and change to the directory with the Plink executable and the SSH private key. The following command turns the server on. C:\Program Files (x86)\PuTTY>plink -i sshlogin.ppk sshlogin@ilo-esx1.lab.local "power on"
C:\Program Files (x86)\PuTTY>plink -i sshlogin.ppk sshlogin@ilo-esx1.lab.local "power off"
C:\Program Files (x86)\PuTTY>plink -i sshlogin.ppk sshlogin@ilo-esx1.lab.local "power warm"
C:\Program Files (x86)\PuTTY>plink -i sshlogin.ppk sshlogin@ilo-esx1.lab.local "power reset"
You can put these commands into a batchfile to power on/ off a couple of servers with a single click. This entry was posted in Automation and tagged automation, homelab, hp, proliant, server on May 19, 2014 by Patrick Terlisten. A discourse is going on in the community. I can’t say who has started the discourse, but the number of blog postings to this discourse is an indication for the interest at this topic. But what’s the topic? A homelab is the datacenter of the poor man. Some people have the luck to use a fully populated data center for test and study purposes. Our job requires to work with the latest technology and products, so we need an environment for test- and study purposes. Back in the days it was sufficient to have some VMs on you computer or laptop. But as virtualization moved into the data center, it was necessary to have this in the lab. At this point homelabs began to explode. Why homelabs began to explode? Physical HW has some benefits, because nothing is shared or virtualized. If it’s server HW, the chance is high that it’s on the HCL and you will not face issuses due to unsupported HW. But there are disadvantages: Think about space and power consumption, heat or the WAF (Wife Acceptance Factor – higher is better). Real server HW will violate requirements to space and power consumption, heat and WAF. You can go for whitebox HW, which means that you build your own server out of different components, that are not necessarily supported. But it’s cheap (if I look at Franks and Eriks homelabs this is not necessarily true…), you can focus on power consumption, noise and WAF. But what if you get in trouble because the HW is unsupported? What if HW currently works, but with the next release of VMware ESXi or Microsoft Hyper-V not? You can skip dedicated HW and go for nested environments. In this case you virtualize virtualization environments. Sounds spooky? Yes, sometimes it is. And it has some disadvantages, especially in case of performance or things that simply didn’t work (VMware FT with 64 bit guests). But it’s easy, and that is a big advantage. All you need is VMware Workstation, Fusion or ESXi and AutoLab. An awesome source for nested environments is virtuallyGhetto, William Lams blog. There are some really nice blog posts came up in the last days. Take a look into the comments section! Vladan SEGET – vSphere Homelabs in 2014 – scale up or scale out? This entry was posted in Job and tagged homelab, server, virtualization, vmware on March 29, 2014 by Patrick Terlisten. While playing around in my lab, I wanted to enable VMware Fault Tolerance (FT) for a VM. In the absence of physical HW I use a nested enviroment, which is running on a HP ProLiant DL160 G6 (2x Intel Xeon E5520, 32G RAM, a RAID 0 with 4 SATA drives). 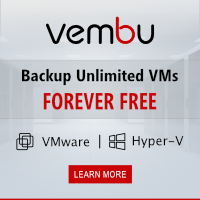 FT isn’t available in nested enviroments, because HW virtualization features are required. This screenshot was taken from the web client. replay.supported = "true" replay.allowFT = "true" replay.allowBTOnly = "true"
After setting the parameters you can enable FT and start the VM. Please note that you can only run 32-bit guests! This is due to the binary translation (replay.allowBTOnly). A FT-secured 64-bit Windows 2008 R2 won’t be possible. But to show the configuration and use of FT a 32-bit Windows 2003 should be sufficient. :) I have configured FT in my lab and I took the screenshots from the vSphere 5.5 Web Client. I use VM HW 9 for the nested ESXi and VHV is enabled in the CPU section. If you are searching for more: virtuallyGhetto is an awesome source, especially for nested virtualization and everything around automation using various API/ SDK and CLI. Kudos to William Lam for the work he puts in there. 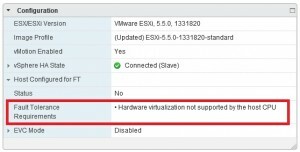 This entry was posted in Virtualization and tagged ha, homelab, vmware on January 11, 2014 by Patrick Terlisten.